In the digital and technologic era, which we are living in, we have to take advantage of each and every one of the tools and techniques that are open to our reach in order to keep growing as a business and to get to a bigger target. 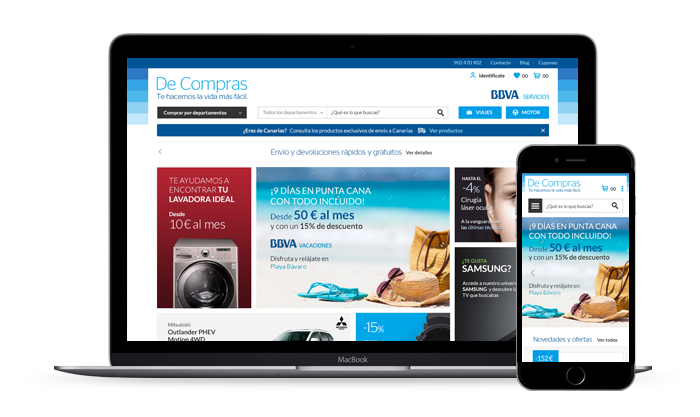 This is what BBVA has bet on, to improve their presence in the e-commerce world with the full and radical renovation of its digital shop-center De Compras; a place with a wide range of products and services that can be bought with excellent price conditions. 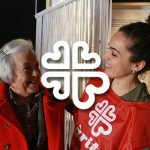 The whole project was designed and developed by Netsense. At Netsense we wanted to be a part of this project, analysing the goals and needs of the client, researching the last digital innovations and offering the best services in order to give a greater final product. From the agency, we have carried out different processes in order to elaborate the e-commerce: conceptualization, layouts, web architecture, development and usability tests. De Compras uses Magento’s technology. The backend of the website allows those in charge of the products, workers from the Call Center and suppliers to access and operate directly with the platform; through an API specifically made for them, they have an easy way to administrate the different catalogues, products and prices. The e-commerce site has 6 different channels for each of the segments, such as workers, offices, Canaries, etc. Therefore Netsense wanted to innovate and search for the latest in the digital world; this is why we have worked with the last trends of UX, UI and responsive design, using some elements such as the Social Login or the One-Click-Buy.